Clay is an important part of healthy soil makeup. Although it is sometimes viewed negatively, its positive attributes are what support plant life. No soil is completely made of clay; soil is a mixture of clay and other soil types that varies by location. If a gardener is unsure of his soil makeup, a simple soil test can determine what type of soil he has. Clay holds mineral nutrients and retains water better than other soil types. For these reasons, it can be very beneficial to plants grown in this type of soil. It does not drain very quickly, however, which can be problematic after heavy rains; however, it helps with disallowing nutrient leaching as the water drains through the soil. Soils are made of a composite of clay, sand and silt. Clay particles help hold the other two types of soil together in a given soil's makeup. Clay particles carry a negative charge, and are smaller and have more surface area than all other types of soil particles. Most minerals are positively charged, and so are naturally attracted to the negative charge of the clay particles. The large surface area helps more minerals adhere to clay particles. Clay attracts silt and sand as well to create a complete soil. 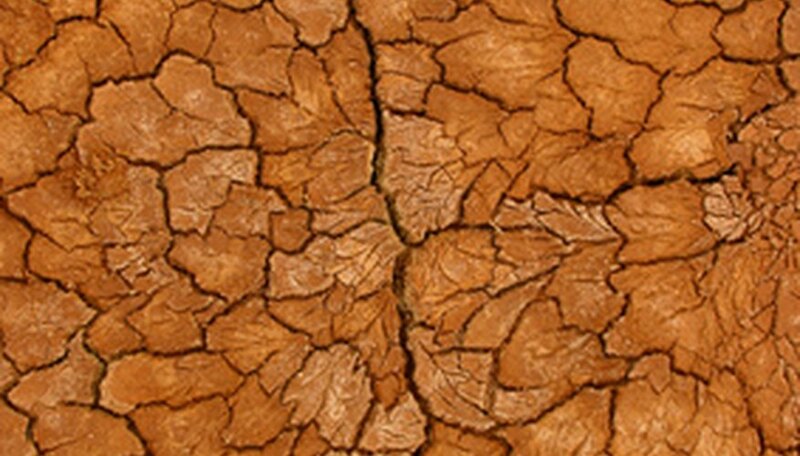 A soil is considered a clay soil if its makeup is comprised of 40 percent or more clay particles. Clay soils compact easy, can be difficult to dig and do not drain water very quickly. Wet soil with a heavy clay content will compact into a muddy, solid ball if squeezed; the ball will not fall apart. Wet clay soil is also very sticky to the touch. The higher a percentage of clay particles in a soil, the more resistant that soil is to pH level changes. Ideal soil for anyone wishing to grow plants of any kind is called loam. Loam soils are a roughly equal combination of clay, sand and silt. By balancing all three soil types, their positive attributes are maximized while their negative attributes are minimized. Sand and silt help improve the drainage and texture of clay soil, making it more friable. Clay is often seen in a very negative light because it can be difficult to work and because it does not drain quickly. However, its positive attributes are what make soil able to support healthy, vigorous plant growth. Most problems experienced with heavily clay-based soils can be greatly improved by amending soil with organic matter, such as compost.